Hospital and emergency room treatment rates for prescription opioid overdoses (such as OxyContin) decreased annually by about 5 percent between 2010 and 2014. This was about the same time tough new prescribing laws were drafted to combat the opioid epidemic, the study authors said. But ER treatment rates for heroin overdose skyrocketed at the same time. 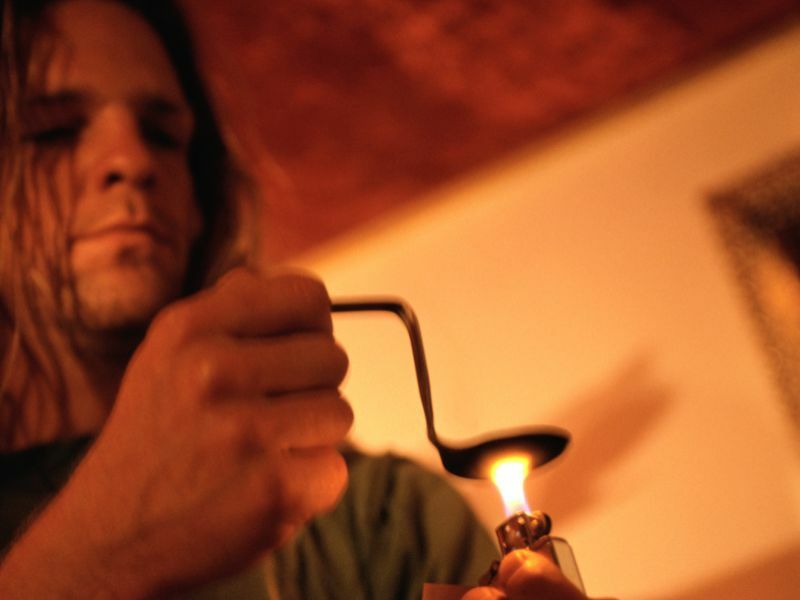 Heroin overdose rates increased at an annual rate of more than 31 percent after 2008, said senior researcher Tina Hernandez-Boussard. She's an associate professor with the Stanford University School of Medicine. These results provide "the first piece of real evidence" supporting what had been a strong suspicion that prescription painkiller addicts are turning to heroin because it's cheaper and easier to obtain, Hernandez-Boussard said. The data also show that prescription opioids have greatly expanded the types of people now suffering from opioid addiction, Hernandez-Boussard said. Back in 1997, opioid addiction mostly affected young white males in the northeastern United States, she said. Now, all groups of Americans are facing the consequences of opioid use. Men and women are suffering opioid overdoses at about the same rate. There's an even distribution of overdose across all age groups. And the opioid crisis has spread throughout the United States, Hernandez-Boussard said. Lindsey Vuolo is associate director of health law and policy at the National Center on Addiction and Substance Abuse. She agreed that the hospital data mirrors what has been observed in previous studies on overdose deaths. "It started with prescription opioids and then moved to heroin," Vuolo said. If the trend continues, follow-up studies on hospital data will show a further shift from heroin to synthetic opioids like fentanyl, Vuolo added. For the new study, Hernandez-Boussard and her colleagues reviewed federal data on hospital and emergency department admissions across the United States between 1997 and 2014. The investigators looked specifically at data on hospital admissions for opioid use and opioid-related overdose. The findings reflect the curve of America's opioid crisis. Prescription opioid overdoses increased by 8 percent annually between 1997 and 2010 for hospitals. The increase was 5 percent annually between 2006 and 2010 specifically for emergency rooms. In 2010, President Barack Obama ordered action on the prescription opioid epidemic. After that, overdose rates for these drugs declined by 5 percent annually for both hospitals and their emergency departments, the researchers found. Tough laws and rules regulating prescription opioids made them less available. That may have caused untreated addicts to turn to heroin. And, that may have led to the annual 31 percent increase in heroin overdoses treated in the ER starting in 2008, the study authors suggested. "There have been a lot of efforts and initiatives since 2010 focused on prescription opioids. It was nice to see that corresponding decrease in hospital and emergency department admissions," Hernandez-Boussard said. "However, about the same time we saw a substantial increase in heroin-related admissions," she added. The problem is that America's response to the opioid epidemic hasn't included adequate focus on treating addiction, Hernandez-Boussard explained. And Vuolo agreed. "People who are already addicted to prescription opioids are not being connected to treatment, and therefore moving to other forms of opioids," Vuolo said. "Although we may be restricting availability to prescription opioids, and those efforts may be working, we're still seeing people with addiction to other types of opioids," she said. According to Hernandez-Boussard, part of the problem is that there aren't enough resources to combat addiction. There aren't enough treatment centers and facilities to help people hooked on opioids. But doctors who are treating patients for opioid abuse and overdose also are failing to connect these folks with treatment, Vuolo and Hernandez-Boussard said. Vuolo pointed out that a recent study of the Pennsylvania Medicaid program found that only 33 percent of people treated for heroin overdose and 15 percent of people treated for prescription opioid overdose were connected with addiction treatment following their discharge from the hospital. Hospital staff, health care professionals, and even police need to receive better training on how to steer opioid addicts into treatment, both experts said. "Now we see these people are being discharged from the hospital alive following an overdose," Hernandez-Boussard said. "We need to think about strategies regarding recovery programs and managing opioid dependence." The new study was published in the October issue of the journal Health Affairs.